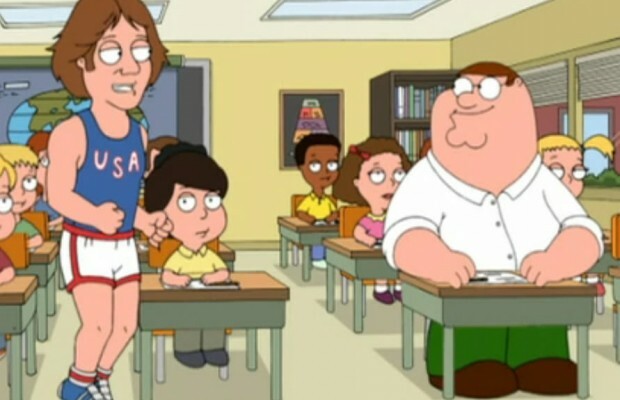 So, did 'Family Guy' predict that Bruce Jenner would transition to become Caitlyn Jenner? Well, no. Obviously. But shortly after former Olympic athlete and KUWTK 'star' Bruce Jenner revealed that she had transitioned to become Caitlyn Jenner, this clip from a 2009 episode of the animated series Family Guy began circulating. The clip was taken from an episode entitled “We Love You, Conrad” which originally aired on 3 May 2009 as part of the series’ seventh season. Yes, the clip is real - but it's more eerie coincidence than prediction.